I am looking for a diecast model of a 2007 Roush Mustang in blue with white stripes...any help? I've searched my sources for a diecast Roush Mustang in Blue and unfortunately, have had no luck. For some reason, the diecast car companies like three major kinds of Mustangs to recreate in metal. 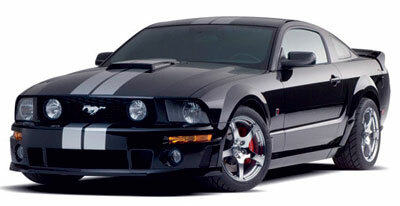 Stock popular models, Shelby and Saleen Mustangs. I am also actively on the look for early fox body Mustangs and the mid 1980's ones. I will keep looking out for you, so when I find a Roush diecast, I'll put an update on this page, as well as adding it to the Mustang diecast cars section.